Snapper XD SXDWM82K 82V 21-Inch Cordless Walk Mower Kit - Battery & Rapid Charger Included. The Snapper XD 82-Volt 21" walk mower kit powered by Briggs & Stratton offers a powerful, durable and reliable battery powered tool that delivers on performance. Industry's first 82V lithium ion walk mower powered by Briggs & Stratton is built for durability with its 21" steel deck. This quiet walk behind mower is easy to use with a single lever height adjustment allowing you to choose from 7 different cutting heights. Vertical storage capabilities saves up to 70% of storage space. Easy start and less maintenance with the included (2) Briggs & Stratton 2.0Ah lithium-ion battery. Mow through your yard work with ease with this wireless, environment-friendly walk mower. Snapper 2185020 HI VAC Push Lawn Mower. Best mower for bagging fans, the Snapper HI VAC mower deck with its vacuum like suction efficiently cuts & bags your grass. HI VAC walk mowers give your yard an ultra clean finish. 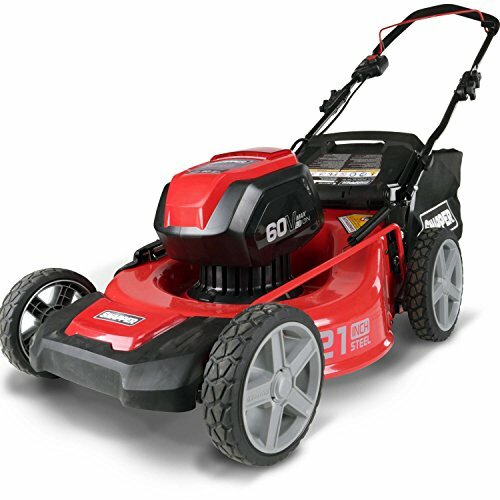 This Snapper 21" walk-behind lawn mower also features high 10" rear wheels for superior traction on hills & thick grass. The reliable Briggs & Stratton professional series OHV engine keeps you going with professional-grade features from Ready Start technology to quieter operation & increased durability. Snapper CRP218520 NINJA RWD Commercial Series Lawn Mower. Snapper commercial series walk mowers are built to last season after season with heavy-duty features such as the 14 Gauge steel mowing deck, steel axle & reinforced bracing. This walk-behind mower has a rear wheel drive system with smooth turn differential & high 10" rear wheels providing better maneuverability & improved traction on hilly yd. 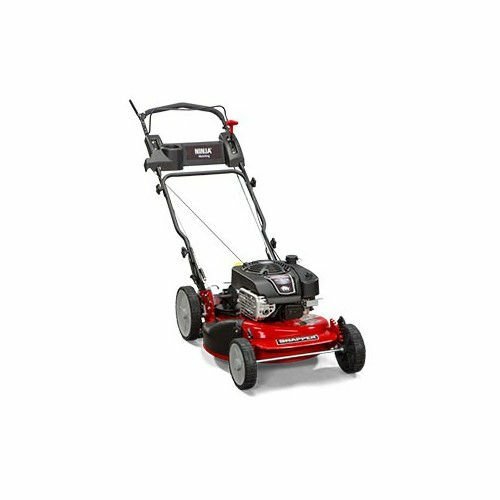 Premium, long-lasting power is delivered by a Briggs & Stratton professional series engine. This Snapper CRP218520 unit has the Ninja mulching blade along with a 7-position height-of-cut adjustment. 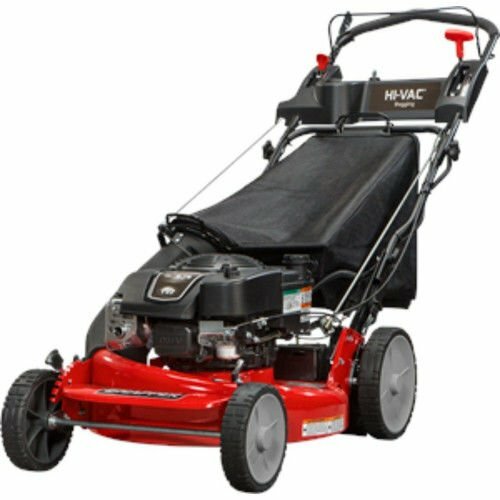 Snapper P2185020 HI VAC RWD Push Lawn Mower. 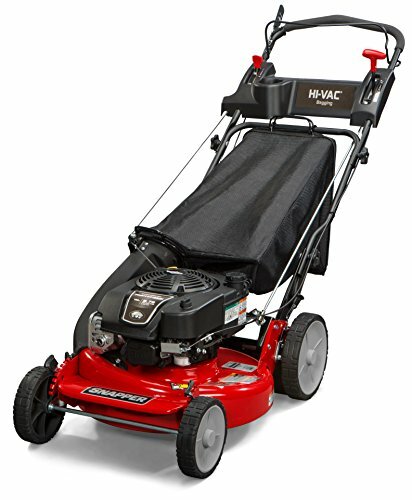 Best mower for bagging fans, the HI VAC mower deck with its vacuum like suction efficiently cuts & bags your grass. HI VAC walk mowers give your yard an ultra clean finish. This Snapper 21" behind lawn mower also features a rear wheel drive system with high 10" rear wheels for superior traction on hills & thick grass. The reliable Briggs & Stratton professional series OHV engine keeps you going with professional-grade features from Ready Start technology to quieter operation & increased durability. 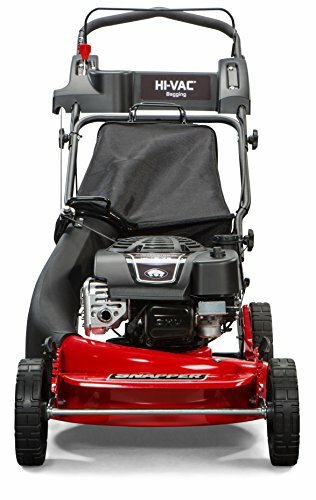 Snapper RP2185020 NINJA Series Lawn Mower. 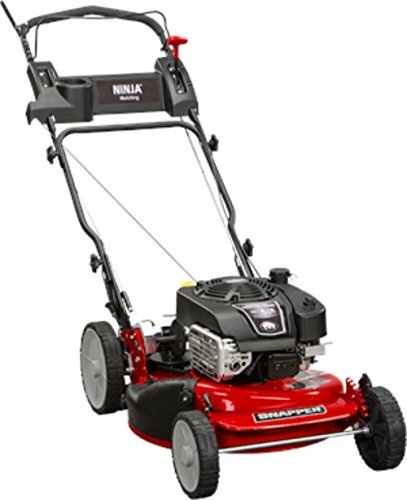 Best mower for mulching fans, the Snapper Ninja walk-behind lawn mower's powerful blade with 6 cutting surfaces finely mulches grass clippings while the deck blows them back into your yard. This Snapper 21" lawn mower features a rear wheel drive system with high 10" rear wheels for superior traction on hills & thick grass. The reliable Briggs & Stratton professional series OHV engine keeps you going with professional-grade features from ready start technology to quieter operation & increased durability. 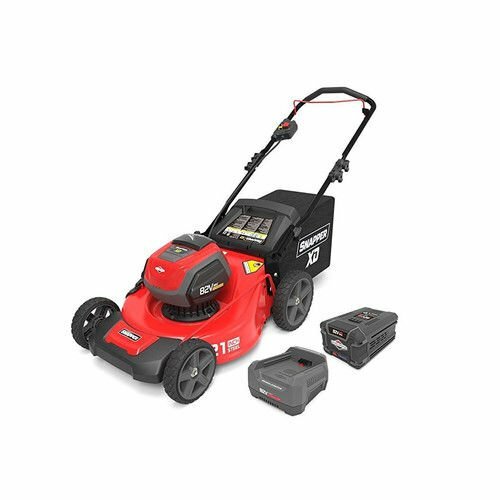 Snapper P2185020E HI VAC RWD Push Lawn Mower - Electric Start. Best mower for bagging fans, the HI VAC mower deck with its vacuum like suction efficiently cuts & bags your grass. HI VAC walk mowers give your yard an ultra clean finish. This Snapper 21" walk-behind lawn mower also features a rear wheel drive system with high 10" rear wheels for superior traction on hills & thick grass. The reliable Briggs & Stratton professional series OHV engine keeps you going with professional-grade features from Ready Start technology to quieter operation & increased durability. The Snapper P2185020E model gives you the additional ease of electric start along with recoil start. 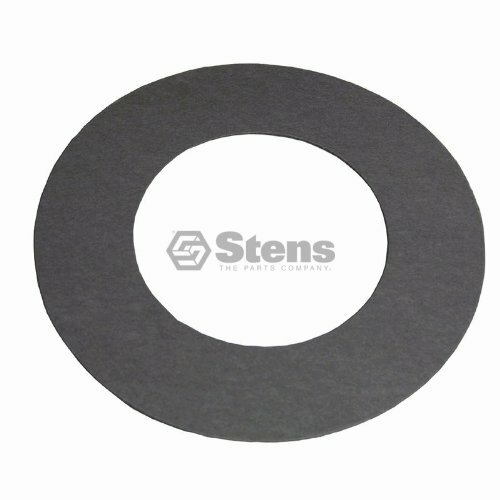 Compare prices on Lawn Mower Snapper at ShoppinGent.com – use promo codes and coupons for best offers and deals. Start smart buying with ShoppinGent.com right now and choose your golden price on every purchase.